Chief minister Mamata Banerjee has assured the Gorkhas that she will work to safeguard their identity and expressed her desire for a permanent solution. This is the first time that the chief minister has broached the issue in public. “I want to assure the Gorkha brothers and sisters that to safeguard your identity, to strengthen the hills, for the well-being of the hills, we will do whatever needs to be done for the development of Darjeeling,” Mamata said at Chowrasta here on Wednesday. The chief minister stressed the need for “a permanent solution”, without going into specifics. The statehood issue did not find any mention in Mamata’s speech but her assurance to work towards safeguarding the “identity” of the Gorkhas was greeted with admiration and triggered a fresh political discussion among the Gorkhas residing not just in the hills but across the country. Gorkha Janmukti Morcha leader Binay Tamang has welcomed the statement. “I am grateful to Miss Mamata Banerjee for her announcement regarding the identity, safety and security of the Gorkhas in India,” he said. The Morcha leader said the party had apprised the chief minister of the issue and had sought her immediate intervention for a solution. Tamang said they also wanted land rights to be granted to tea garden and cinchona plantation workers in the hills. “The Morcha believes having our own home (registered land) will bring us identity. So, getting parcha patta for tea workers is one of the key issues for getting identity,” Tamang said. 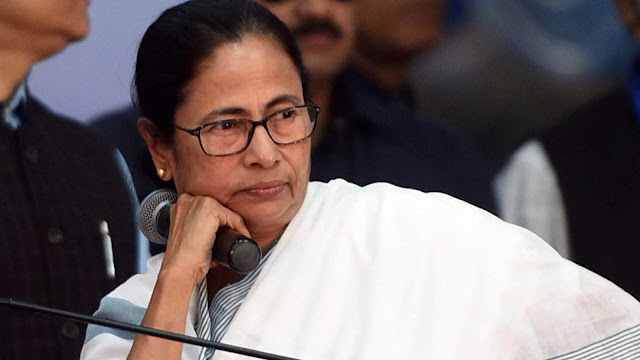 The chief minister hinted that she would push for tribal status to 11 hill communities, a demand she said the BJP-led Union government was taking too long to address despite the Bengal government giving a green light. The chief minister indicated that elections to the Gorkhaland Territorial Administration, due since August 2017, would be held after Lok Sabha polls. “When there is election to the GTA, after the Lok Sabha polls,… before that, I will again review the Darjeeling accord, to make it stronger. I want the betterment of Darjeeling, Kalimpong, Kurseong,” she said. “You asked for central university, how many days have gone? Since no central university was coming, the state government set up a university. During elections, tall claims are made for votes but after that, they run away. I do not do so,” the chief minister said, targeting the the Centre. Darjeeling: Chief Minister Mamata Banerjee assured the people of the Hills that her government would work towards a permanent solution for the region, one that would help secure the political identity of the Gorkhas and facilitate in creating a better Darjeeling. "After the Lok Sabha elections, we will review the Darjeeling accord or agreement (GTA) and see if we can come up with a better arrangement for Darjeeling, Kurseong and the Kalimpong Hills. In order to preserve your identity and ensure all-round development, I will do whatever needs to be done in the form of a permanent solution," said Banerjee. Incidentally in the past, the Hills have been a witness to repeated agitations. The violent agitation in the 1980s spearheaded by the GNLF resulted in the formation of the Darjeeling Gorkha Hill Council (DGHC) in 1988. A neo agitation by the Gorkha Janmukti Morcha (GJM) in 2007 resulted in the formation of the Gorkhaland Territorial Administration (GTA) in 2012. At present, Hill political parties including the GNLF are demanding a permanent solution for Darjeeling in terms of a constitutional guarantee to any form of administrative arrangement. The Chief Minister had held parlays with the GJM and the GNLF on Tuesday in an attempt to forge an election alliance necessary to oust the BJP from Darjeeling Lok Sabha constituency. On Wednesday, while addressing the huge gathering at the Darjeeling Chowrasta, Banerjee stated: "You all had asked for a Central University. Despite repeated assurances, the Central government did not give you one. The state government immediately initiated the process of starting the Darjeeling Hill University. They only make thousands of assurances at the time of elections and then run away. We don't do that." Regarding the inclusion of 11 Gorkha sub-communities in the Scheduled Tribe list, Banerjee stated: "We have already sent our endorsement to the Centre. However, it is not doing anything. If a new government comes to the Centre, we will definitely do the needful." The Chief Minister stated that during hours of crisis, Bengal has always showed the way. "The struggle for Independence started from Bengal. Whenever India is plunged in darkness, Bengal and its people show the path," stated Banerjee. She further added that the nation will not forget the role of the Gorkhas in the Indian war of Independence, specially in the Indian National Army under Netaji. "Netaji had a strong bond with the Gorkhas. They fought side by side with him in the INA. From then onwards, the identity of the Gorkhas had been established," she added. Both the GJM and the GNLF welcomed her assurances of a permanent solution for the Hills. "We are very grateful to Chief Minister Mamata Banerjee for her announcement regarding the identity and safety, security of the Gorkhas in India. She has also agreed to review the existing GTA Act and confer more powers. The GTA election will be held after the Lok Sabha polls," stated Binoy Tamang, president, GJM.